The first contestant to be announced for this year’s series of Strictly Come Dancing is Katie Piper. The television presenter appeared on BBC Breakfast, where it was confirmed she would be taking part in the show. The 34-year old former model claimed she lacked “natural rhythm” and said it was “a bit daunting” to be taking part in the programme. She also admitted that when she told her husband about it, “he thought I was joking”. Claudia Winkleman and Tess Daly will return to hosting duties, with Shirley Ballas heading up the panel of judges. Bruno Tonioli, Darcey Bussell and Craig Revel Horwood complete the line-up of experts. On Sunday, Tess and Claudia revealed each of this year’s contestants had been given names of a type of cheese as a codename – to protect their identities in the run-up to the show. In a video posted to Strictly’s official Twitter account, the presenters went through a number of different cheeses, giving clues to the celebrities’ identities. Piper told BBC Breakfast that her codename had been “Brie”, which in the video Winkleman described as being “a right laugh”. The 16th series will be the first without dancer Brendan Cole, who confirmed he’d been axed from the show earlier this year. The new series will kick off with a launch show on BBC One in September, with the full series returning later on in the autumn. 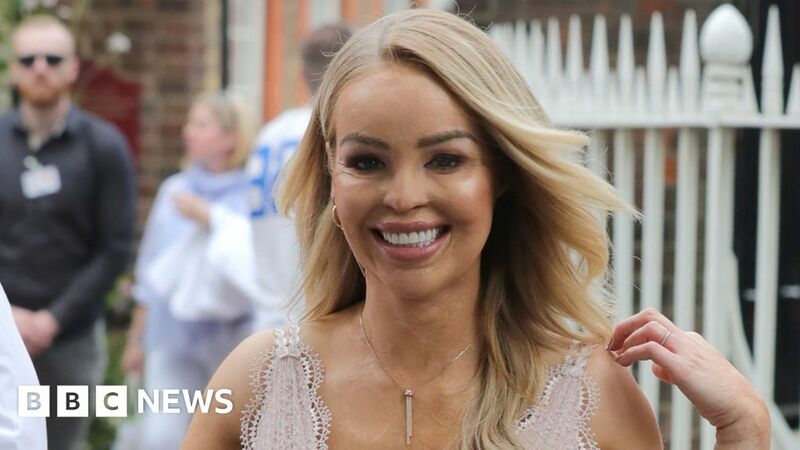 Piper has presented such programmes as Channel 4’s Bodyshockers and has set up a charity to help people those with facial disfigurements, burns or scars. She was the victim of an acid attack in 2008 that left her blind in one eye, after an ex-boyfriend arranged for sulphuric acid to be thrown over her face. Two more contestants who’ll be compete for this year’s glitterball trophy will be named on The One Show later.